If you are in doubt whether you should use a rent-a-car or limousine service for your travel needs, we suggest you take a look at our infographic for some of the main differences between the two options. First of all, booking your car rental might not be as convenient as reserving your car with a limousine service company. For example, usually car rental companies cannot guarantee a specific make/model so you will never be sure what vehicle to expect and whether it will be to your liking. Even where it is possible, the models can vary by location. Therefore, your preferred car might not be near your place thus causing you additional efforts and expenses. 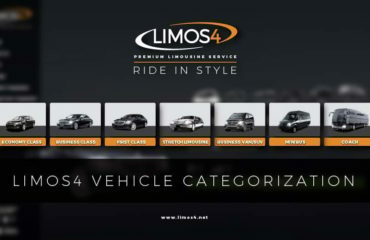 With limousine service, the vehicle you book is the one that will await you at a location you specified during the simple and easy online booking process. The basic and most important differentiation point is that you need to go to a rent-a-car branch office and pick up the car, whereas limousine service includes a chosen vehicle with a chauffeur waiting for you at your designated address, whatever the location. The chauffeur would also assist you with your luggage, as a standard service. Rent-a-car service is highly unpopular regarding pricing. More often than not, you will experience countless extra costs that haven’t been presented to you, such as loss-of- use fees, early return fees, multiple driver fees, etc. Never will you encounter hidden costs with professional limousine service providers. The rates offered to you include all the necessary taxes, fees, surcharges, gratuities. Last but not least, the convenience a chauffeured car gives you is beyond comfort and flexibility. The chauffeur assigned to your ride has an excellent knowledge of the area and the best routes. With chauffeured limousine service, it’s unlikely you will get stuck in traffic or get lost in any place. That peace of mind is priceless. We hope our infographic as well as the whole post will be of great help to you while planning and arranging your ground transportation for your next trip.